Sam recruits former hunter Martin to track Benny. Martin uncovers vampire murders near Benny, but Dean refuses to believe it and learns that another vampire is setting Benny up. After a second murder, Sam and Martin choose to ignore Dean's pleas and head out to take care of Benny. Dean and Benny take care of the vampire. Sam receives a text from Amelia and leaves the hunt. Martin decides to kidnap Benny's great granddaughter to pull Benny out of hiding. 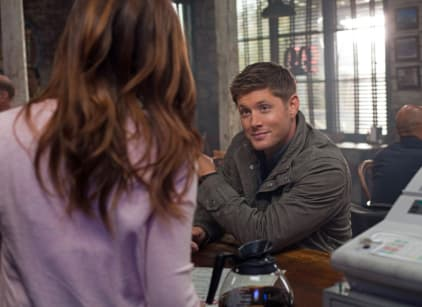 Sam realizes that Dean faked the text from Amelia and that she is still with Don (whom Sam had decided Amelia should give a chance when he had returned). Dean tries to explain the entire situation, as well as Martin's death, but Sam hangs up. Amelia finds Sam at the bar.